At one of my previous companies, I was part of a four person team where three of us worked from the office, and the fourth worked from home. Initially, I was envious of my work-from-home colleague. I pictured her lounging in her PJs all day, while I literally sat next to my boss, wondering whether he'd see me (or care) if I checked Facebook. My envy quickly dissipated, however, when we started having more team meetings where engagement and participation were crucial. When we had meetings, my work-from-home co-worker connected via Skype. Her head would float above us on a large TV screen, a reminder that we did indeed have a fourth team member. As she sat in her living room, watching miniature versions of the three of us laughing and tossing ideas around an over-sized conference table, she was more of a spectator than a participant. Unable to hear anyone who was more than a foot away from the mic, she often had to ask us to repeat what we'd said. Her own responses invariably came in delayed, or choppy. The moral of the story? Not all companies offering work-from-home roles are created equal. The added flexibility may sound like a blessing, but if the company isn't fully remote, or at the very least, experienced in and committed to supporting remote workers, you may end up feeling like my colleague - left out and overlooked. Want Updates from Zapier Inc.? Some of the companies below have fully remote teams, and others have a mix of work-from-home and in-office roles. Those in the latter category all have tried and true strategies for ensuring the old cliche "out of sight out of mind" doesn't apply to their remote workers. Most importantly, all 14 of these companies have roles that offer flexibility without skimping on professional development, compensation, or benefits. Check them out! Want Updates from Dell EMC? Zapier helps people across the world automate the boring and tedious parts of their job by helping everyone connect the web applications they already use and love. Communications Managers, Staff Writers, and More! Dell empowers countries, communities, customers, and people everywhere to use technology to realize their dreams. Customers trust us to deliver technology solutions that help them do and achieve more, whether they're at home, work, school, or anywhere in their world. Avaaz empowers millions of people from all walks of life to take action on pressing global, regional and national issues, from corruption and poverty to conflict and climate change. Intuit powers prosperity across the world with their flagship products - TurboTax, QuickBooks, and Mint. Logikcull's secure, cloud-based solution helps law firms and organizations of all sizes solve the expensive, complex, and risky challenges associated with eDiscovery, internal investigations, and open records response. Karat is on a mission to engineer a better technical interview, and assess the world's talent. Their marketplace connects applications, wherever they are hosted, to independent cloud services made by developers who care. Sound good? See what Nicole - one of Manifold's front-end engineers who was hired off of PowerToFly - has to say! 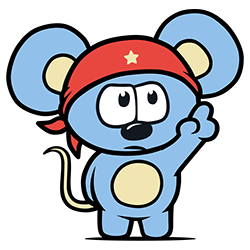 RebelMouse is a revolutionary new all-in-one platform for supercharging content, growing audiences and building loyal and lasting communities. RebelMouse's leadership takes flexibility and diversity seriously. Their founder and CEO, Andrea Breanna, is gender fluid and sets the tone to provide a safe, positive, and loving environment. Paylocity provides cloud-based payroll and human capital management (HCM) software solutions. MasterCard operates the world's fastest payment processing network, connecting consumers, financial institutions, merchants, governments and businesses in more than 210 countries and territories. What do you think? 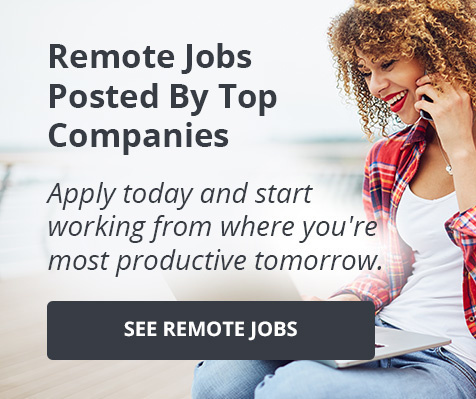 Do you work for a great fully-remote or flexible company that we missed? Let us know!